An unusual climate along the northern coast of Peru and southern coast of Ecuador is responsible for the extraordinary deciduous fragrant forests. 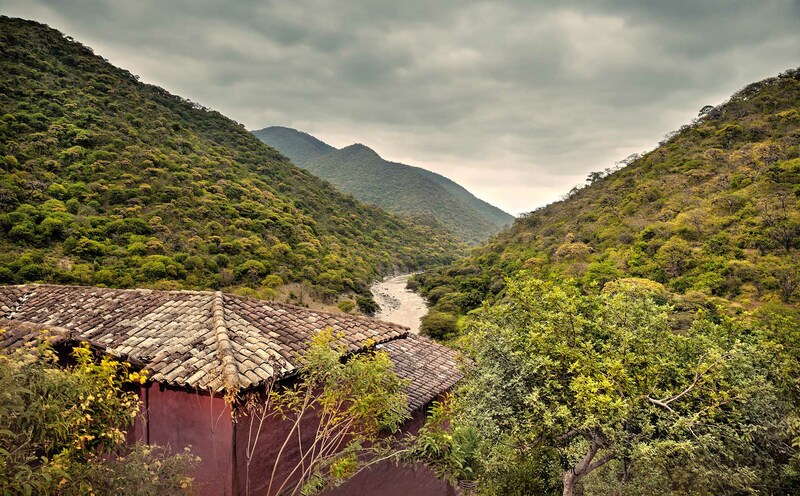 Even though these forests lie on the equator, they find themselves in the rain shadow of the mighty Andes, the world’s longest mountain range. And for seven to eight months of the year they get little moisture from the ocean because it’s cooled by the Humboldt Current flowing north from Antarctica. Deciduous fragrant forests are rare and highly endangered. Because of human activity, less than 5% of the original ecosystem remains. 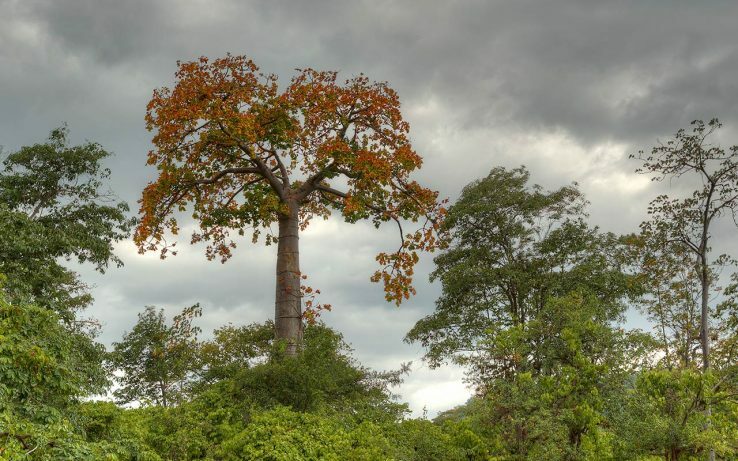 ABOVE: A Pretino tree preparing for the dry season in Nature & Culture’s Cazaderos Reserve. Notice the structure of the trunk which resembles water barrels stacked on top of each other. These forests occur in regions with heavy rainfall for part of the year followed by a long dry season. The trees are well adapted to this climatological reality of almost no rain for up to seven months. They are dense with greenery during the wet summers, but become a starkly different landscape during the dry winters when most trees shed their leaves to avoid transpiring their stored water into the air. Because of these dramatic conditions, these ecosystems have many endemic species adapted to the area’s extremes. 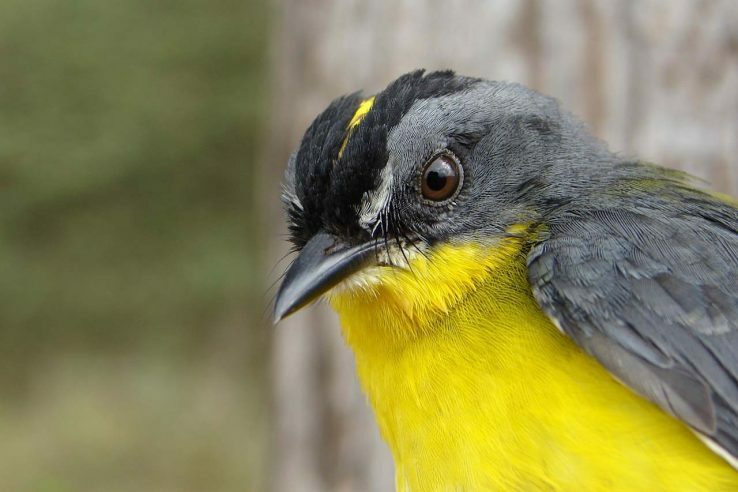 The deciduous forest are are home to one of the highest concentrations of endemic bird species in South America, making them a top conservation priority. These forests, often known as the Tumbesian ecosystem, are unique and precious. They rank as one of the world’s highest biodiversity priorities for two reasons: First, they are home to one of the highest concentrations of endemic species in all of South America. And second, the degree of threat is grave because the climate is good for farming of export crops like corn, bananas and rice. Making matters more dire, the Tumbesian region has been farmed for 500 years, since the Spanish conquistadors first landed here in search of gold. Presently, only 5% of the original fragrant forests remain standing. 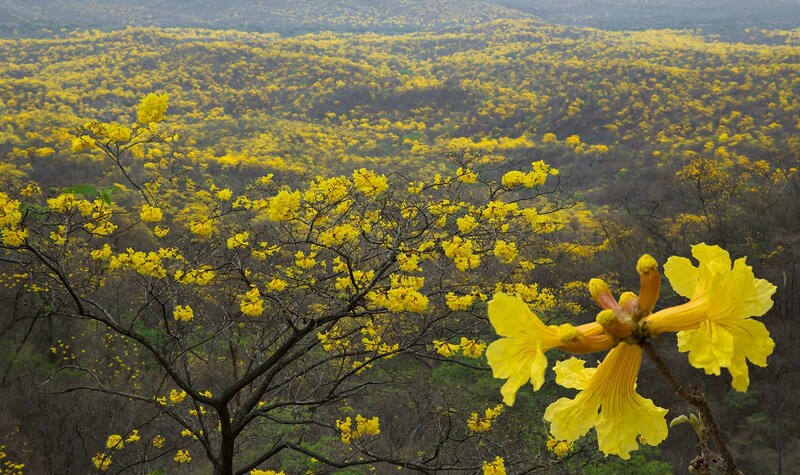 ABOVE: Guayacan trees in bloom precisely 10 days after the first rains in Nature & Culture’s Cazaderos Reserve. One of the Nature & Culture board members showed this photograph to Jane Goodall and E.O. Wilson with a simple question, “Have you ever seen a forest that blooms like this for miles and miles?” Neither had ever seen anything like it in their extensive travels around the world. Priority conservation designations covering the region include the Tumbes Endemic Bird Area, identified on the basis of 55 species, of which 19 are globally threatened and 45 are endemic to the region. The Tumbesian region stands out among such areas as holding one of the largest numbers of restricted-range species (fourth in the world). This is especially unusual given its proportionally small area. 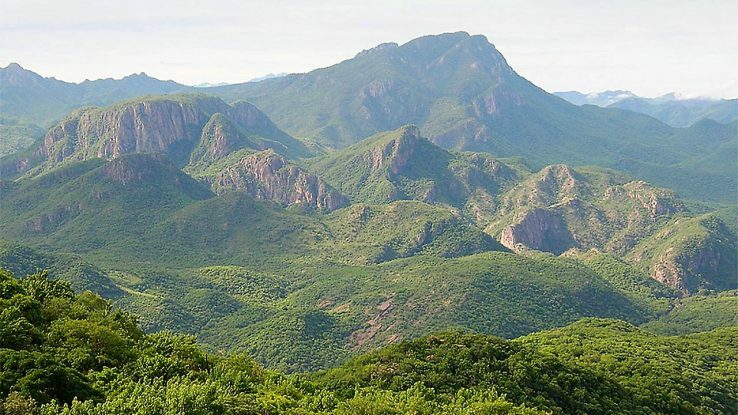 ABOVE: The deciduous forests of Sonora, Mexico in Nature & Culture’s Monte Mojino Reserve. The deciduous forests extend into North America and the northernmost are found in Sonora, Mexico. Sometimes called tropical savanna, this ecosystem once reached continuously from northern Mexico over a thousand miles into Central America, but now only 15% remains and only 1% is in protected status. The Sonoran forests support a high diversity of birds with approximately 330 species and is a critical region for birds migrating from the Rockies. Additionally, the deciduous forests of Sonora hold five species of wild cats including the jaguar, puma, bobcat, and ocelot, and 79 species of amphibians and reptiles. Much is still to be learned about the deciduous fragrant forests. Nature & Culture operates a field station in our Laipuna Reserve in southern Ecuador dedicated to biological research to uncover and protect endangered populations of endemic birds such as the blackish-headed spinetail, the henna-hooded foliage-gleaner, and the rufous-necked foliage-gleaner. It has also discovered the presence of white necked peccaries, white-tailed deer, and pumas. 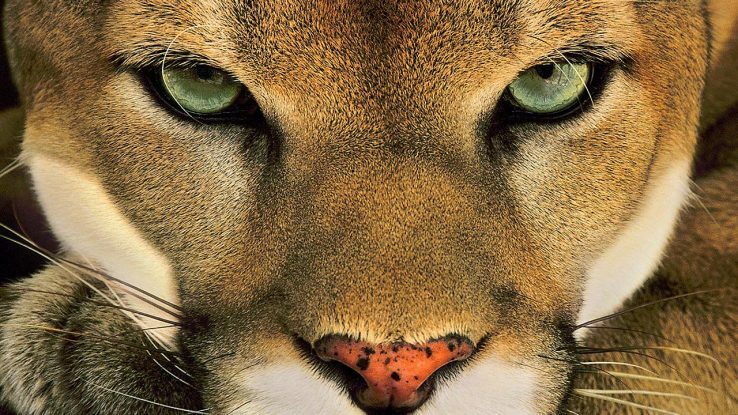 ABOVE: A puma (or mountain lion/cougar), one of the feline inhabitants of the deciduous fragrant forests.